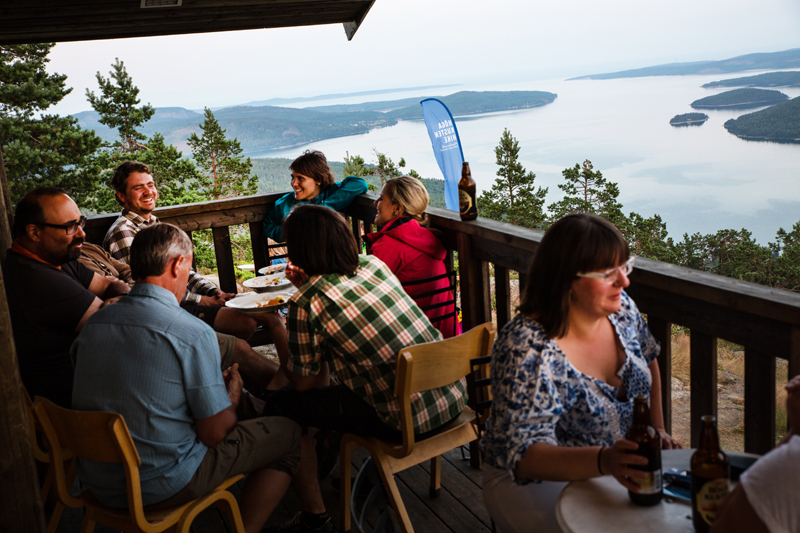 FriluftsByns Top Cabin Café situated on the top of Mount Skuleberget is one of the most famous landmarks and most popular attractions in the High Coast. 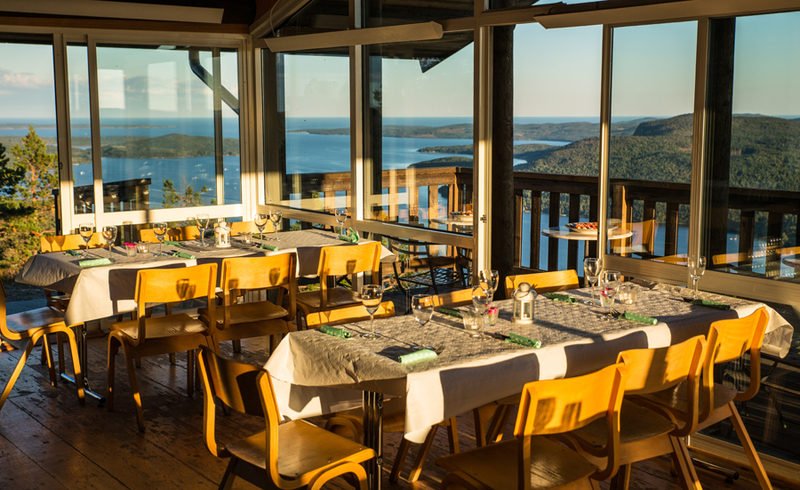 Enjoy the view from the sun terrace or sit down by the fireplace and enjoy the best view that the World Heritage Site has to offer. 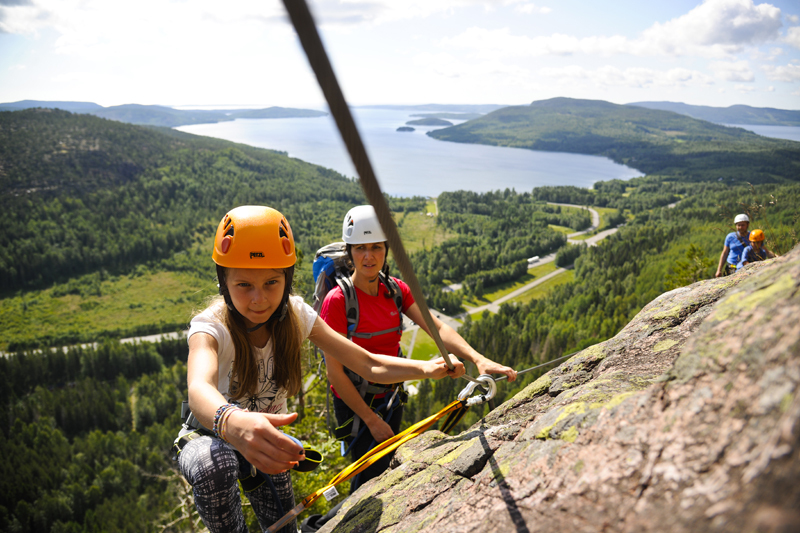 You can take the chairlift, hike one of the many beautiful trails or climb Via Ferrata to the top. 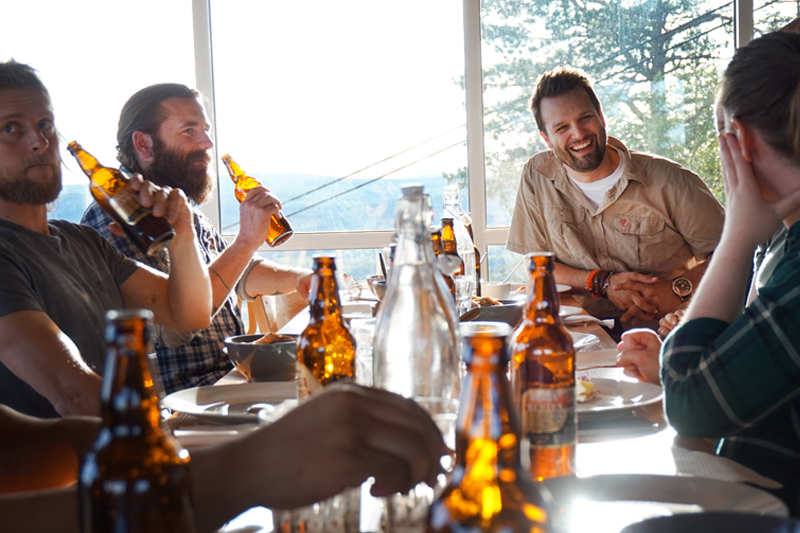 Welcome to FriluftsByn Top Cabin and the top of the High Coast. Here we will soon update with our menue. Here we will soon update with upcoming events. Do not miss the sceneric walk at the top of the mountain. 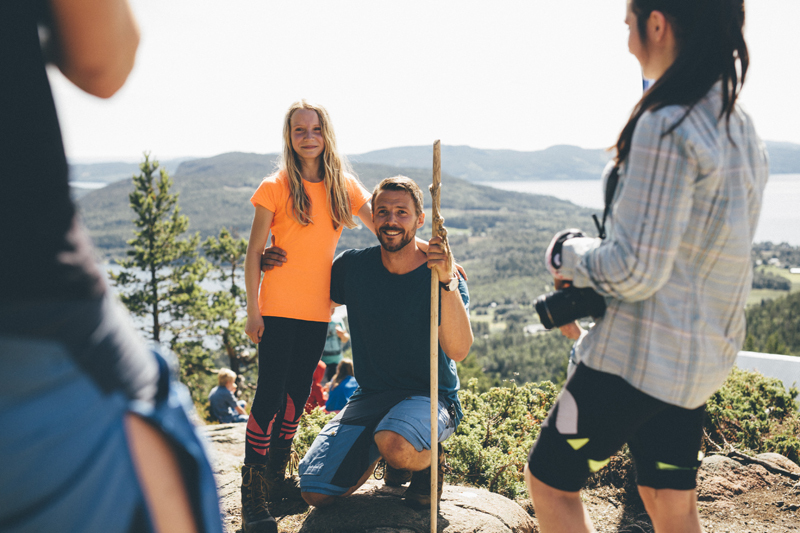 Mount Skuleberget is the perfect location for a great day out and one of the best ways to experience the High Coast. 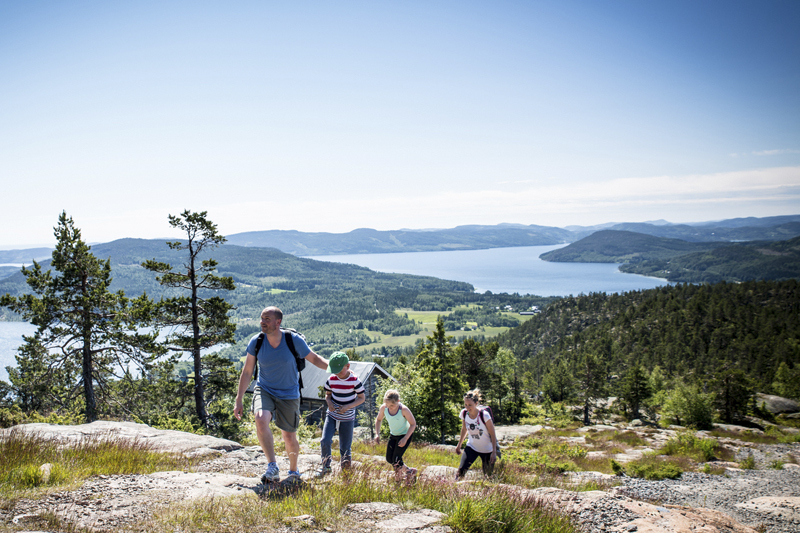 Start the day by visiting the Naturum World Heritage Museum at the east side of Skuleberget to learn more about the World Heritage Site. 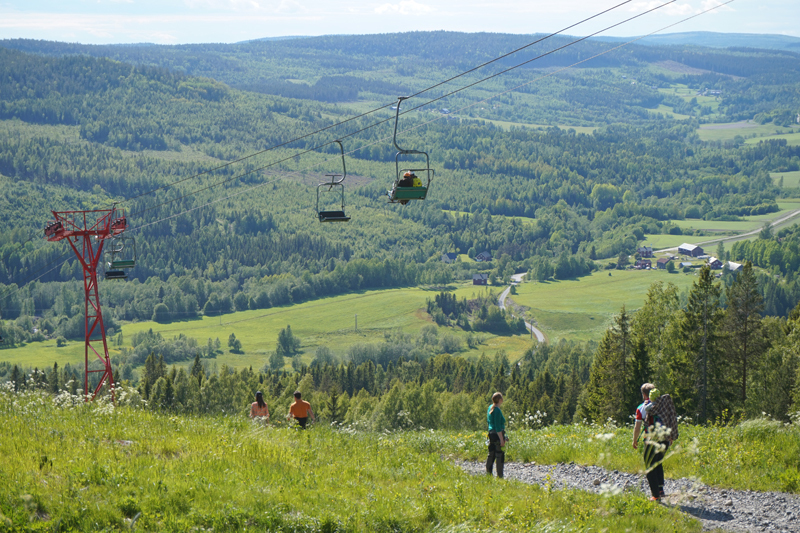 Then enjoy the amazing views as you hike, climb or take the chairlift to FriluftsByn Top Cabin. 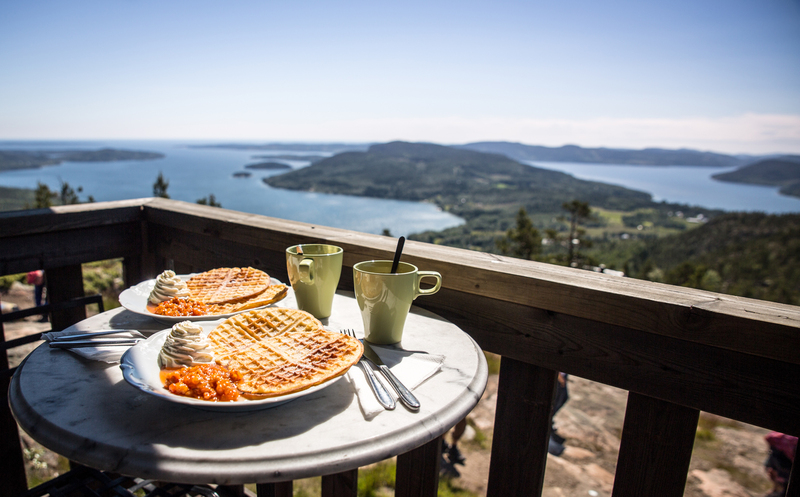 As you reach the top you definiely deserve some waffles or why not some local specialities in the Top Cabin. Then it is time to hike the 1,2 kilometer sceneric top route. 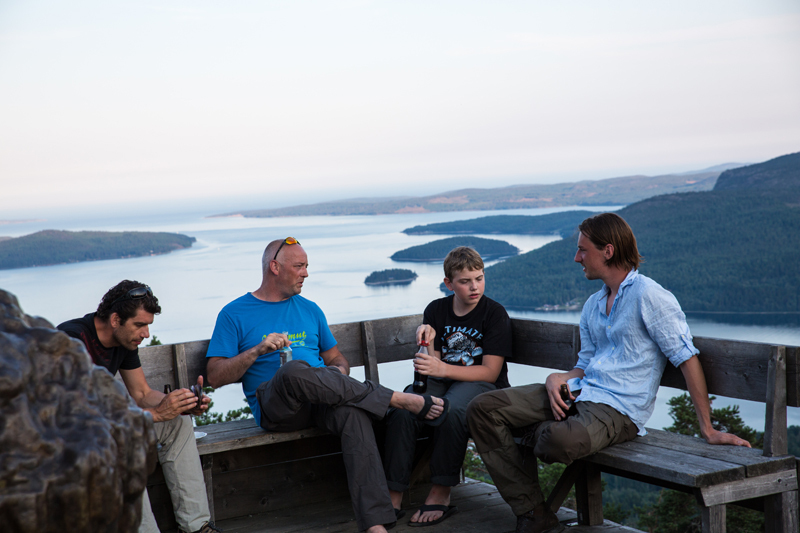 Hiking the Top Route you will get the most breathtaking 360 degree views of the High Coast. 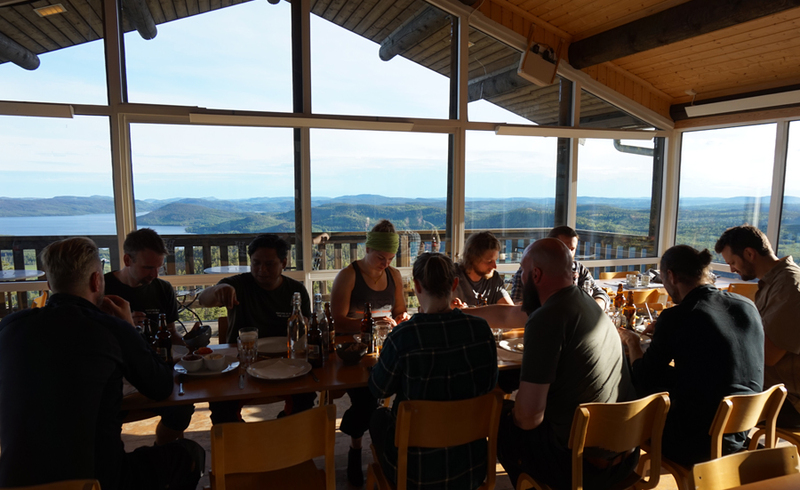 As you come back get the energy up with an icecream and enjoy the view on last time before you head down the mountain with smiles on your faces.